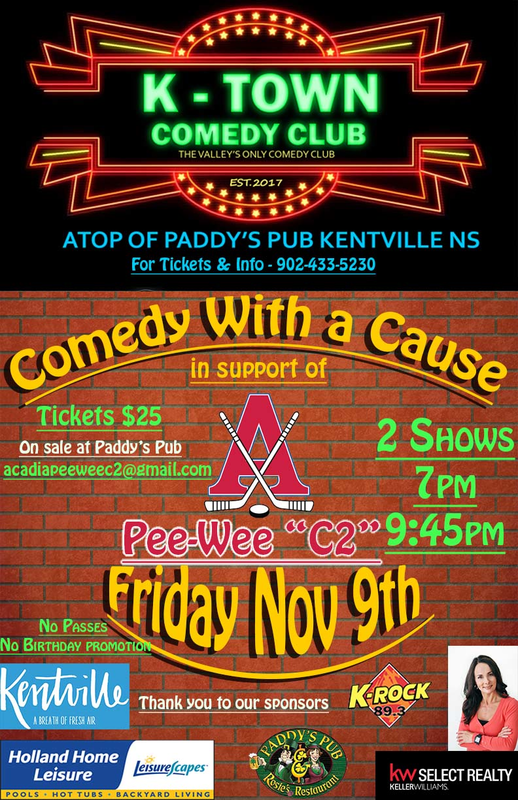 The Acadia Peewee C2 Hockey Team is hosting a comedy night at K-Town Comedy Club, atop Paddy's Pub. Proceeds from this event will go to support the team this season with tournament registration costs, additional ice time costs, as well as team development costs. Please contact team manager Andrea Pothier at: acadiapeeweec2@gmail.com for tickets.